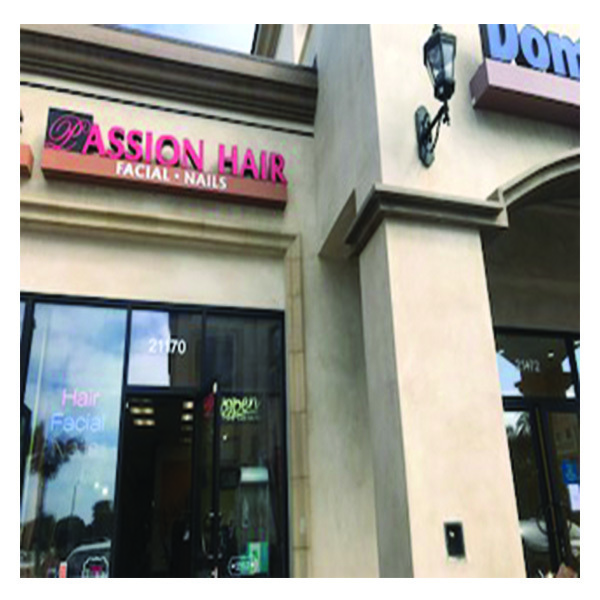 We are a Professional beauty salon for hair, nails, facials, skin care and more, continually serving all your beauty needs since 1990 in the Huntington Beach area. The staff are very experienced, and always want the customer walking out satisfied. The staff is very dedicated and patient to perform the clients' ideal look. Our business has been in buisness since 1990. We were recognized by the OC Register in 2003. We have won many awards and trophies at the Long Beach, Los Angeles, and San Diego Hair Shows. 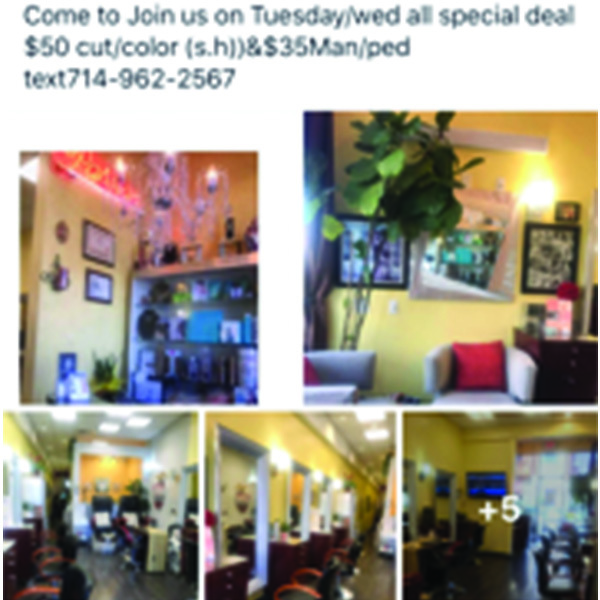 We are a full service hair, facial, & nail spa. Gift Certificates are available for holiday purchase.